When I visit schools I am often asked questions about how I write, what it feels like to be a poet, how I got started and so on. Sometimes children and teachers are just curious, sometimes they are hoping for tips to help them write. Here are few commonly asked questions, as well as some of the stranger ones, and my replies. Do you write in a special place? No. I carry a notebook around with me. I take it everywhere I go. If you want to be a writer you should do that too. You never know when you are going to hear something or see something that might become a poem. I was looking out the window of a train the other day and by the electric rail I saw a notice which said EMERGENCY GAP JUMPER. I wondered why would you want a jumper from Gap by the railway – and what the emergency would be. I write lots in my notebook in bed when I wake up and on train journeys on my way to schools. Then I write a second or final draft on my computer. How long have you been a poet? All sort of lengths really. I started about three foot six (in the old measurement) and now I’m around five foot ten. That’s around one and a half iambic pentameters. Years ago I found a very old book in a second-hand book shop. It was called Ideas for Writing Poems Volume Three. It’s fantastic and I’ve got all my ideas from there so far. Unfortunately I’ve nearly used them all up so I’m looking for the other volumes. Apparently there are ten volumes altogether. If you want to write poems I strongly urge you to go into every old bookshop you come across and search the shelves, especially the dark, forgotten corners, to see if you can find any of the other books in the set. No. I actually live in a palace. It’s made of marble and all the door handles are made of gold. I live in the West wing and the servants live in the East wing. Roger McGough, Billy Collins and Shel Silverstein. And Anon wrote some great funny verses. What do poets have for breakfast? I usually have muesli. I make my own with oats, nuts and dried fruit. Then I add a few extra things to liven it up – like chilli or spider-flavoured crisps. Chocolate-covered ants go very well in it. And I put a fried egg on top. How do you find rhymes? I don’t really look for rhymes. If a rhyme comes naturally I use it – but many of my poems don’t rhyme. I did once put an advert in the newsagent’s window for rhymes and lots of rhymes applied. They kept stinging, winging, singing, ringing me up or rapping, snapping, tapping on my window late at white, bright, night. In the end I put a notice on the door saying NO MORE RHYMES. It was just getting chilly, hilly, silly. 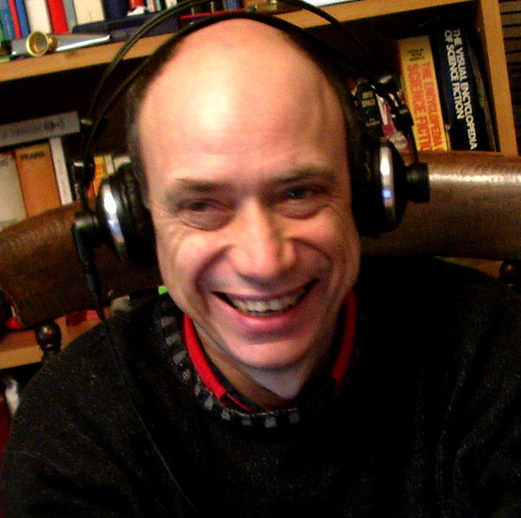 Finally – do you have you any advice for writers? Yes. When eating something from the microwave give it a couple of minutes to cool down or you might burn your mouth. Don’t wear your trousers inside out (as I did once) and always say please and thank you. These pieces of advice are actually good for everyone, not just writers. I hope that helps. Good luck with your writing. Thanks Roger lots of great stuff there! I so want to live in a palace just like you but I currently live in an igloo! 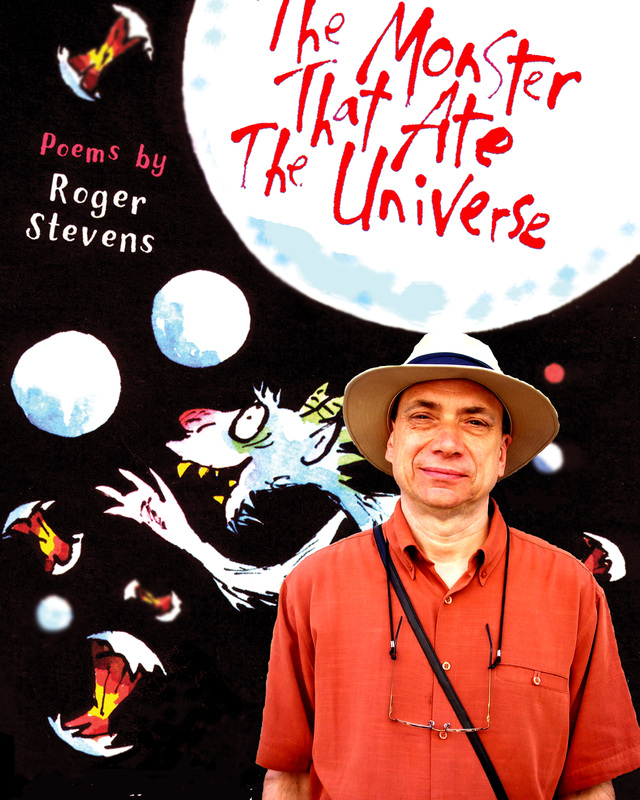 If Roger’s interview has got you wanting to read poetry then follow this link to the latest poetry books! That’s one of the very best interviews I’ve ever read! I think the revelations about what poets eat for breakfast was fascinating! This obviously NOT a real person but someone made up! I am not a made up person but a person who is “made up” by those good comments. Geddit? All those questions were asked me by children in schools. I admit I have taken some liberties with the an answers. But that is my job after all. Children say the funniest things, once I was talking about pets we had in my year 5 class so that we could get some data to make charts in Maths. We have a dog says one girl. Yes so do we replied another but we’ve also got mice. They live under the fridge. My Mum tries to trap them but I give them cheese because they are cute! Seems a bit much only offering Gap jumpers. If I had an emergency jumper situation I’d want one from Marks and Spencer. They may not be as posh but I’ve always found them to be just as delightfully warm and fluffy. Almost as delightfully warm and fluffy as Roger Stevens the poet. I’ve never had a fishy jumper from M&S. But I did buy a very dubious one from another shop I’d better not mention in case they sue me. In fact I’m not even sure it was a jumper. It looked more like a petticoat. And Anon wrote some great funny verses- ha I love this comment!